SACRAMENTO, Calif. (CN) – Sparked by a 44-foot-tall gray pine crashing into a power line during the prime of wildfire season, the deadly 2015 Butte Fire scorched through the heart of California’s famed Gold Country. The blaze burned over 70,000 acres and destroyed 500 homes in Amador and Calaveras County, close to Gold Rush towns made famous by Mark Twain. It took firefighters nearly a month to tame the wildfire, but not before it killed two people and caused over $1 billion in damages. Regulators pinned the Butte Fire’s cause on one of the nation’s largest utilities – San Francisco-based Pacific Gas & Electric – finding that PG&E and its contractors should have recognized and removed the tree that fell onto their power lines. Since the fire, more than 2,000 people have sued PG&E over the wildfire in various Northern California courts. On Monday, a state appeals court handed them a setback. In a unanimous decision, the Third Appellate District in Sacramento ruled that some of the plaintiffs’ punitive damage claims against PG&E won’t make it to trial. The three-justice panel overturned a trial court ruling and handed PG&E, which is facing a fresh batch of lawsuits from more recent Northern California wildfires, a much-needed court victory. Writing for the panel, Justice Jonathan Renner said there are no “triable” exemplary damage issues under California Civil Code section 3294 for the plaintiffs to pursue, and granted the utility’s motion for summary adjudication. 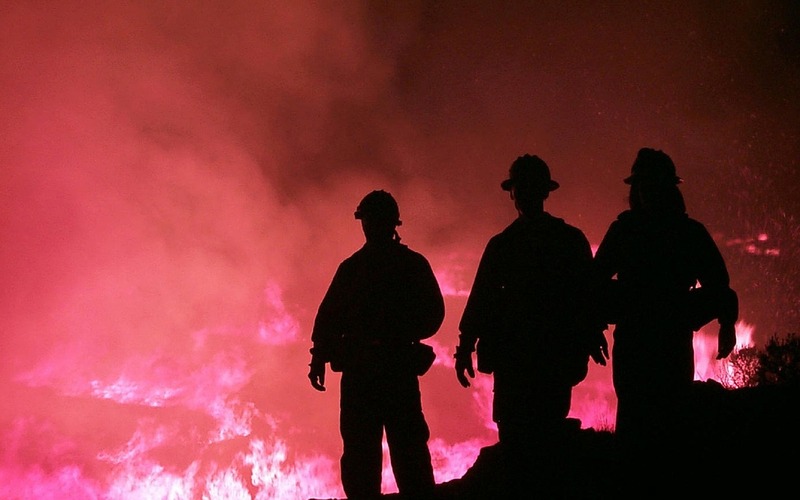 “There is no evidence that PG&E acted maliciously in setting policies designed to minimize the risk of wildfire or engaging contractors to assist in the company’s fire mitigation efforts,” the 33-page ruling states. Due to the constant stream of Butte Fire-related lawsuits against PG&E and several of its contractors, California consolidated the matters into a single case in Sacramento Superior Court. Prior to a hearing on PG&E’s request to toss the claims, Judge Allen Sumner issued a tentative ruling in favor of the utility. But Sumner changed course after oral arguments, allowing the fire victims to pursue exemplary damages. He said there was doubt as to whether PG&E used shoddy contractors to inspect trees near its rural power lines. “PG&E was aware of the risk and the need for those inspecting or removing trees to be qualified,” Sumner’s 2017 ruling states. On appeal, PG&E presented evidence showing that it has greatly increased wildfire mitigation programs over the last decade and that its contractors did not notice or report the problematic tree. The plaintiffs said PG&E’s mitigation efforts were “window dressing” and noted other recent catastrophes tied to the beleaguered utility, like the fatal 2010 San Bruno pipeline disaster and last year’s Wine Country wildfires. The privately owned utility is ultimately responsible for sparking the Butte Fire but shouldn’t face punitive claims, the panel decided. “PG&E’s evidence negates any inference that the company acted despicably, and with willful and conscious disregard for the rights and safety of others,” the panel writes. The panel’s ruling does not mention or impact plaintiffs’ remaining punitive damage claims relating to a section of California public utility code. Sacramento Superior Court has already found PG&E liable for property damages caused by the 2015 fire. The state ranks the Butte Fire as the 10th most destructive wildfire in state history. In June, the utility told investors that it expects to pay at least $2.5 billion to cover costs related to 2017 wildfires. PG&E says it is continuing to improve wildfire mitigation programs and that they meet “our state’s high standards.” And in an email, spokesperson Paul Doherty said safety remains the company’s top priority. “We continue to extend our thoughts and prayers to the victims and the communities that suffered losses as a result of the Butte Fire. We welcome the court’s decision on this important matter. Regardless of the next legal steps, nothing is going to distract us from our important safety work. All of us at PG&E share the view that the safety of the public, our employees and contractors is our absolute core value and non-negotiable top priority,” Doherty wrote.